KUNMING, Feb. 26 (Xinhua) -- Chinese Vice Premier Han Zheng has called for continued efforts on environmental protection and support for the real economy to ensure a good start for this year's economic and social development. Han, also a member of the Standing Committee of the Political Bureau of the Communist Party of China Central Committee, made the remarks during an inspection tour to southwest Yunnan Province from Sunday to Tuesday, where he examined protection of Erhai Lake and visited local companies. Efforts should be made to ensure sustainable and healthy development of the economy and maintain overall social stability, Han said. He recognized the outcomes the country has achieved in the protection and pollution treatment of the lake, and urged consistent efforts to win the lake's pollution battle. 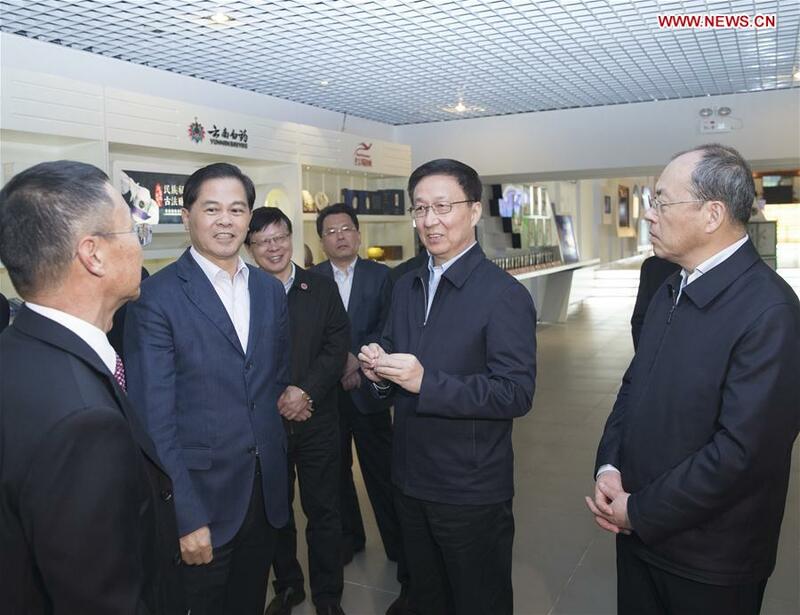 During a tour to a biotech company, Han urged it to use the unique natural resources of the province and independent innovation to explore the global market. He also underlined efforts to push forward state-owned enterprise (SOE) reform, foster internationally competitive national brands, increase input in research and development, and enhance mixed ownership reform of SOEs.